When you read the Bible, you are confronted with the notion that God is a God of restoration. Even after mankind failed God he drafted a plan to restore mankind back to himself. When his people were enslaved, he made the provision to rescue them and give them a new beginning in the land of the promise. When we go through tough times in life, when we experience struggles with relationships, family issues. At times, we may feel discouraged or hopeless because of how things develop in our lives. However, God in his word gives us hope; he gives us the key to be made whole again. To be revived. When Solomon finished praying fire came down from heaven and consumed the burnt offering. God showed up in the dedication and people worshiped him. Not soon did Solomon finished prayer, God was already answering his prayer. God appeared to Solomon to let him know he heard his prayer. Everyone would love to have an answer like that. God’s message to Solomon (v.13) When I shut up the heaven so that there is no rain, or command locusts to devour the land or send plague (pestilence) among my people. Why did God say this? Why would he keep the rain from coming or send pestilence among his people? -Solomon recognized that God would not send rain if his people sinned. Sin will keep you from God’s blessing. Solomon knew that God would not bless his people if they departed from his ways. He knew that sinning against God would bring disaster and misfortune on the land. When I have allowed you to go through droughts; when the economy is not helpful in the land, when you have gone through severe trials and pestilence in the land. When I allow my people to be defeated in war and let them go through difficult times. (Then) then I will hear from heaven and forgive their sins and heal their land. God’s people (Over whom God’s name is called). The Israelites were known as the children of God. God’s people today are those who profess faith in Jesus. Jesus modeled humility on earth. Php.2:8 He humbled himself to the point of death. – Pray (bring your request or petition to God) pleading with God. The Bible tells us that the first Christians were devoted to prayer. – Seek God’s presence (longing to be in the presence of God. This was Moses’ prayer. He did not want to lead his people if God did not go with them. David longed to be in the presence of God. Ps.51:11 Cast me not away from your presence and do not take your Holy Spirit from me. Restore unto me the joy of your salvation and sustain me with your willing Spirit. Mary of Bethany always longed to be in the presence of Jesus. When my people display humility and pray and seek my presence and choose to stay from sin. 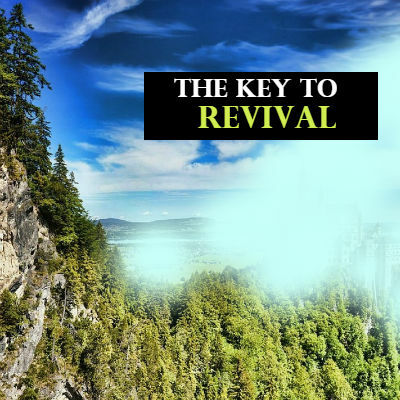 God says that these things will guarantee restoration or revival in your life. Then I will hear from heaven, forgive their sin and heal their land. When God has allowed you to go through trials or difficulties, just like he did his own people in the Old Testament. He showed them how they could be restored and healed. God is teaching us today that restoration is always possible; we too can be revived and healed. He is calling his people to humble themselves, to pray, to truly seek his presence and to depart from sin. Then only then will he moved to answer us, forgive us and restore us. This is where the healing begins.